While you might prefer to handle issues around the house by yourself, without incurring the expense of hiring someone, it’s always best to let the experts take a look. Here’s why you should trust the pros at Grout Medic for your tile and grout cleaning services. At Grout Medic, we pride ourselves on being a one-stop shop for all our clients’ needs. We offer professional caulking, water damage repair, and tile and grout cleaning services, to truly cover anything our clients might need. If you’ve noticed that your tile surfaces are old or in need of repair, or you suspect you may have water damage in your home, a visit from Grout Medic could potentially prevent much large issues down the road. Our trained professionals will restore your countertops, showers, tile floors, and other surfaces so they look good as new. Here’s how you can benefit from our services. Many tile surfaces are in need of more help than just a thorough cleaning. 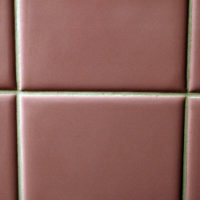 If you notice that your grout is a damaged or discolored, an entire surface replacement might be in order. The professionals at The Grout Medic will remove and replace your old grout, improving the appearance of your tile surface, as well as extending its life. By repairing and replacing tiles, The Grout Medic can also help you extend the life of tile surfaces. 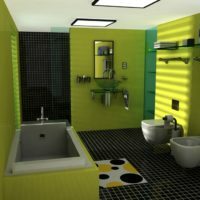 When we’re finished, you can be confident that your tile’s color and texture will match the rest of the tile design. The ultimate goal of our tile and grout cleaning services is to help homeowners restore their tiles and surfaces without the costly expense of a total replacement. If it’s been a while since you’ve replaced the caulking in your bathroom, you might be at risk for water damage. Caulk loses its elasticity over time, becoming hard and dry, and when this happens water can often seep into the walls. This results in water damage and loosened tiles. Trapped water can also cause mold and mildew, which may put your health at risk. The Grout Medic can not only recaulk your shower with a high-quality seal, but also repair any existing water damage that occurred beforehand. There are tons of reasons a tile surface can begin to appear dirty and unseemly. Since tile and grout are both porous surfaces, they easily trap dirt and stains, and it can be hard to remove them with products purchased from a store. At The Grout Medic, we use steam technology to give these surfaces a deep clean that leaves them looking brand new, without exposing your family to unsafe chemicals. We design our treatments to seal your tile and grout, keeping them easy to clean. Our professional tile and grout cleaning services are designed to leave your tiles and surfaces looking good as new. Visit our website to learn about the variety of ways we can improve the appearance of your tile surfaces.